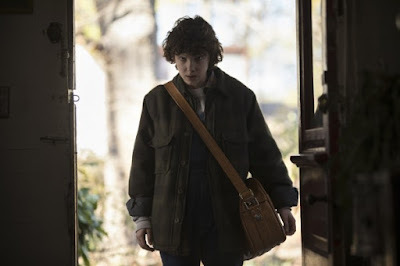 The new season of Stranger Things is right around the corner, and the first clip has arrived to answer one of the biggest remaining questions: Where has Eleven disappeared to? Not only do we get an answer to that question, but we also find out how she returns. Turns out it's through some goopy, sticky otherworldly goop. The clip finds Eleven (Millie Bobby Brown, who introduces the scene) trapped in what appears to be the Upside Down. Using her psychokinetic powers she rips a hole back into our reality, although I think it's up for debate whether she's any safer in the town of Hawkins. This must be fairly early after the Demagorgon's defeat, too, because Eleven still has her close-cropped hair when she spends most of the second season looking as she does in the introduction. Stranger Things 2 hits Netflix on October 27th.